Making your own pate might sound complicated, but the truth is that this fancy recipe comes together very easily and the results are impressive! 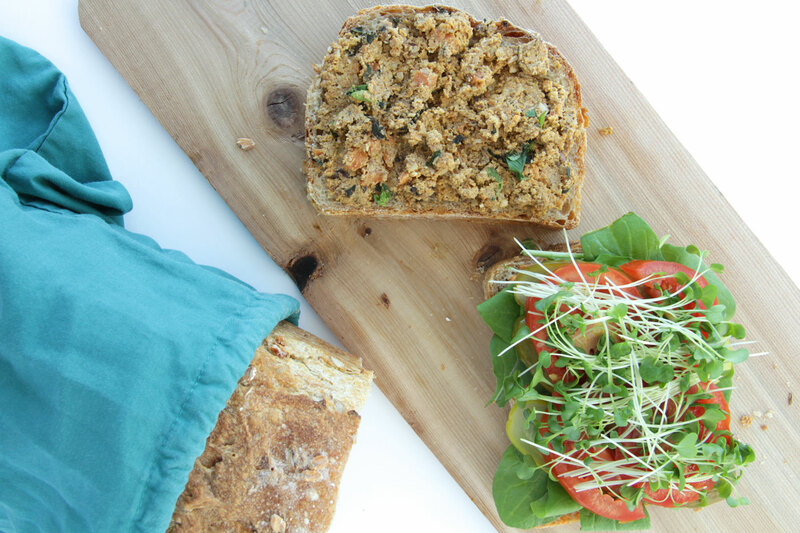 Next time you’re entertaining, or want to treat yourself to something extra special try this plant-based pate! Walnuts contain lecithin and choline helpful for nourishing the brain and its functions on top of that regular consumption of walnuts could help with reduction of bad cholesterol in the body, an improvement in metabolism, and control of diabetes. Other important health benefits of walnuts stem from the fact that these nuts possess anti-inflammatory properties, aid in weight management, and help as a mood booster. They are also believed to slow down the spread of cancer. Olives are a powerful and delicious fruit that can provide the human body with a wealth of health benefits including their ability to prevent bone loss, prevent various cancers, reduce inflammation and arthritis, improve digestion, soothe allergic reactions, improve blood circulation, protect against heart disease, boost cognitive function, defend against infections, and lower blood pressure. Black olives are especially rich in the antioxidant Vitamin E.
Fresh herbs like rosemary, thyme and basil are rich in vitamins and antioxidants and can even fight inflammation and help prevent cancer. To enjoy the health benefits of them, it is best to either grow them at home, or buy them organic and fresh from a natural grocery store or farmers market. Blend all the ingredients in a high speed blender or food processor, adding a touch of water if necessary, to obtain a smooth, paté like consistency. Cut a large square of wax paper or cling foil onto a flat surface. Scoop the walnut mash on it and roll it up using the help of paper/cling foil. Do your best to roll it firmly ,otherwise the paté might be difficult to slice nicely. Place in the fridge for 20 min. 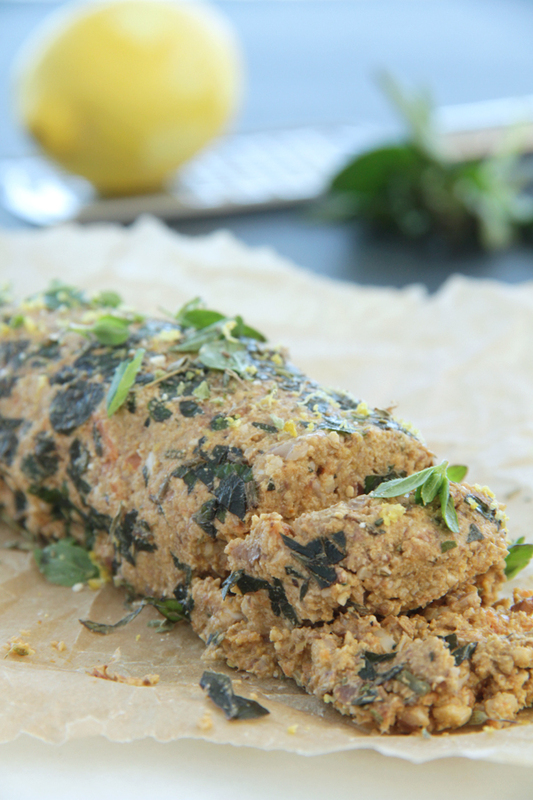 Unwrap the roll, sprinkle fresh herbs all over the paté and then roll it in the herbs until it’s fully covered. Wrap up into the paper/foil again and refrigerate for couple hours. 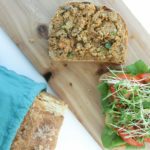 This paté is awesome with beet or zucchini chips as well as seed crackers. We also like to use it as a spread on sandwiches, nori and collared wraps. It’s fantastic as a dip for veggies (smear it on some cucumber slices, carrot or zucchini). 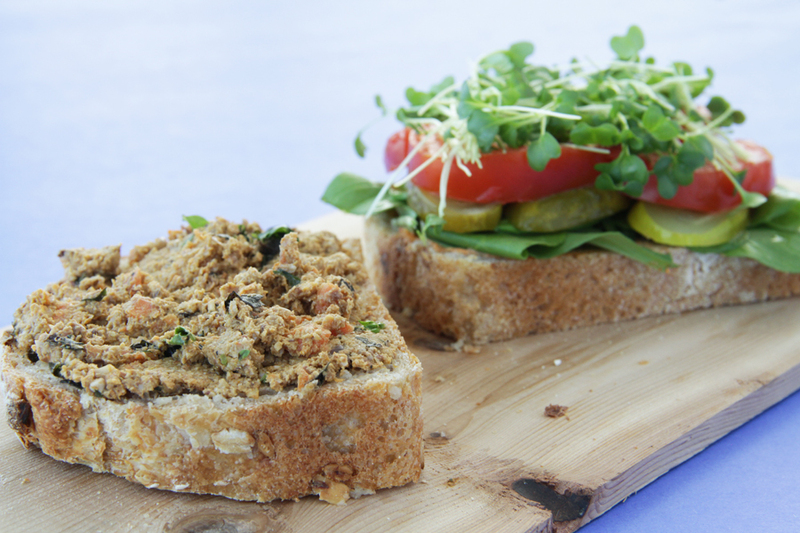 Leftover paté will keep in an airtight container in the fridge for up to 5 days. We hope you will try and enjoy this pate recipe.